Hiding bags under your eyes because of one too many glasses of rioja last night? Sunglasses. No time for make-up? Sunglasses. Want to look a bit rock and roll? Sunglasses. Need to add a bit of glamour to your look? Sunglasses. Posture is important, not just for how you feel but how you look too. Stand upright with your shoulders back and head up. Not only will this make you feel more confident but you’ll look taller, and better proportioned too. High heels can be uncomfortable. Thankfully, though, it’s usually only the cheap ones that are going to cripple your feet. If you feel the need to wear high heels all the time, go for it. Just make sure they’re as comfortable as they are beautiful. If you’re not a high heel type of girl, invest in some beautiful flat shoes. Who cares if you’re not wearing heels. It may sound stupid but being properly hydrated makes us look younger, more awake and a lot healthier. 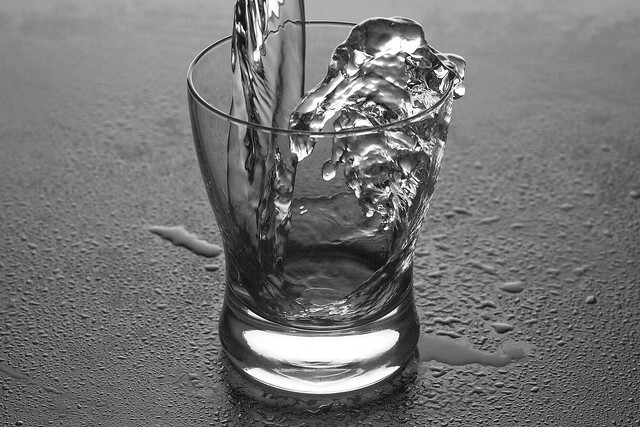 You need eight glasses of water a day (about two litres). You’ll feel better, you’ll be able to concentrate for longer and your skin will look amazing. If you have mid-long hair that’s in need of a wash and an hour at the hair dresser for a style, don’t fret. Whack your hair up into a high ballerina bun. Leave it messy and unkempt. It’s a simple look to do that’s so on trend right now. Perhaps you’re not a hair up kind of a girl. Well, dry shampoo will fix all your hair woes. We all know it’s not good to wash our hair every day. But, for some people, one day without a wash equals a greasy mane. A quick spritz of dry shampoo with have your hair looking clean and voluminous almost instantly. If it’s not a dress and heels kind of a day it can be a jeans and Converse/boots day. Make a point of going out and finding the perfect pair of jeans. You should be willing to spend some time and money here because quality is so important. Don’t go for the tightest, trendiest skinny jeans you can find. Go for a more classic cut that’s going to be more comfortable. A bootcut or straight leg jean will work dressed up or down. A bit of blusher can instantly make you look more awake and radiant. Keep some in your bag or car for days when you need a bit of colour. During the summer, go for bronzer. It’ll bring out any tan you have and will make your skin look beautifully sun-kissed. Knowing your body shape will help you to make good clothing decisions. Dressing in the right things will help you to look wonderful at all times. Tagged comfort, converse, fashion, jeans, sunglasses. Bookmark the permalink.